It may be outrageous for me to put my name next to Jack Nicklaus, but I don't care. 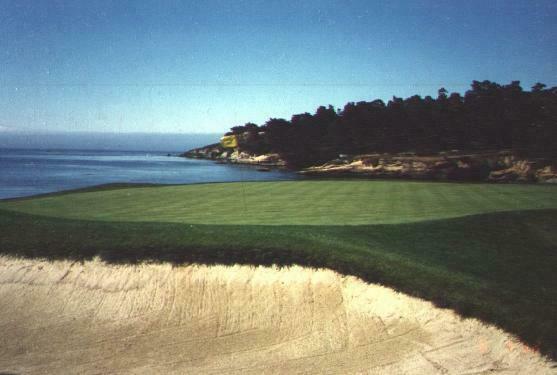 My wife bought me a round at Pebble Beach for my birthday. 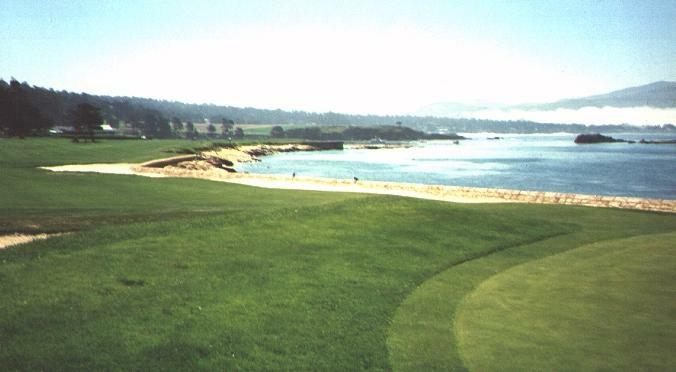 Playing at Pebble Beach was one of the things I would do someday. Well someday came. 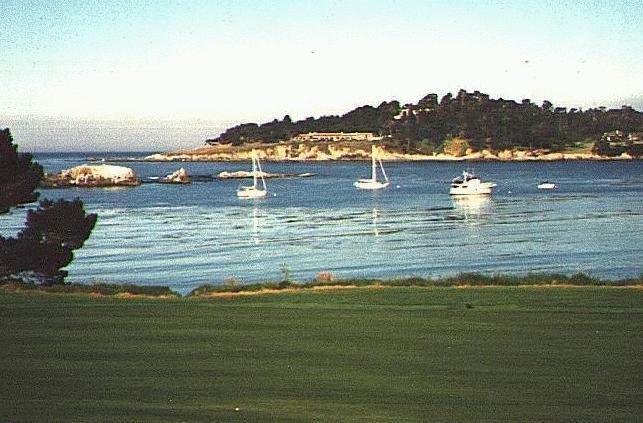 The green fee was pricey, but there was no shortage of golfers wanting to play. On my birthday, I got there at 7:30 AM to see if I could get on standby. I was the 7th person on the waiting list. The pro shop staffer told me, "I don't think you have a chance today." 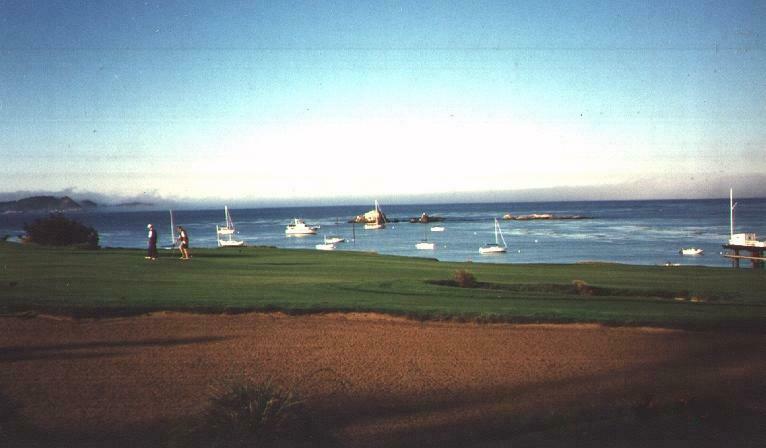 I ended up playing at Pacific Grove Muni, called "Poor Man's Pebble Beach." Two weeks later, I called and was told Monday was totally booked. After church, my wife prayed and said, "Who knows, there might be a cancellation. Try again." That afternoon I called, and there indeed was a cancellation at 6:40 AM Monday. I snatched it. Check out our Popcorn Miracles book. 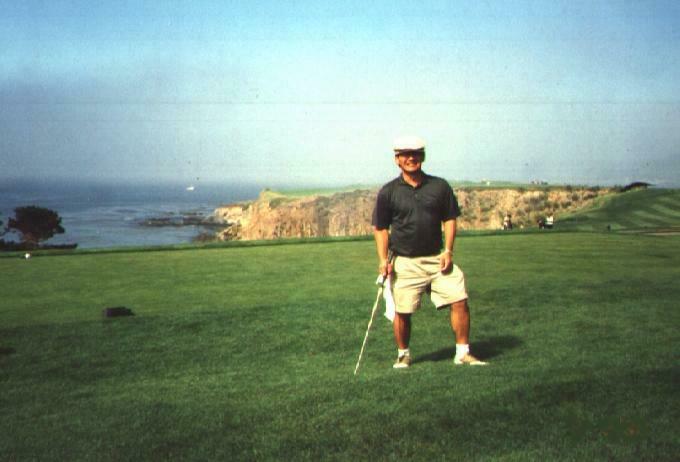 Here I am on the 10th hole teebox. 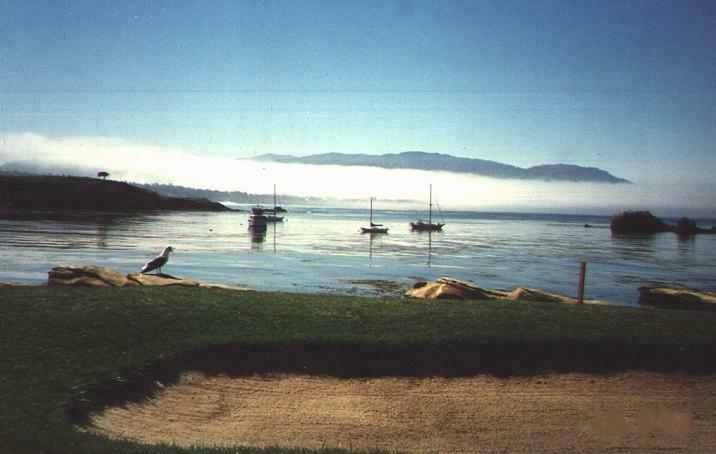 I didn't play particularly well that day, but I had two memorable holes. One on the signature No. 7 par 3, a 103 yards (from the white tees) severely downhill. A gentle breeze blew in from the sea. One guy in our foursome said that the hole was playing 110 yards. That's between a pitching wedge and 9-iron for me. I chose my 9-iron, and I hit it into the middle of the green and proceeded to 2-putt for par. The other memorable hole was the No. 8 par 4. The fog started to roll in. I hit a good drive that flew a little to the right of the white aiming stone in the fairway. 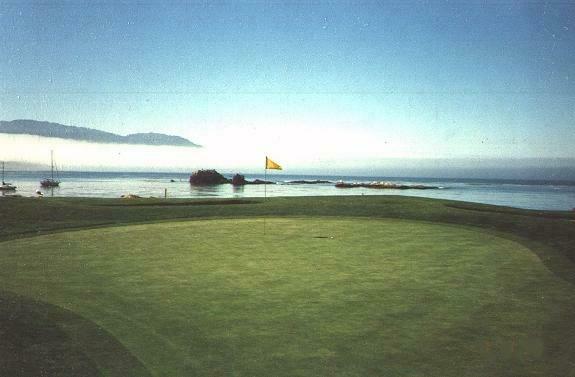 I had to hit my second shot over a cove to the green about 180 yards. 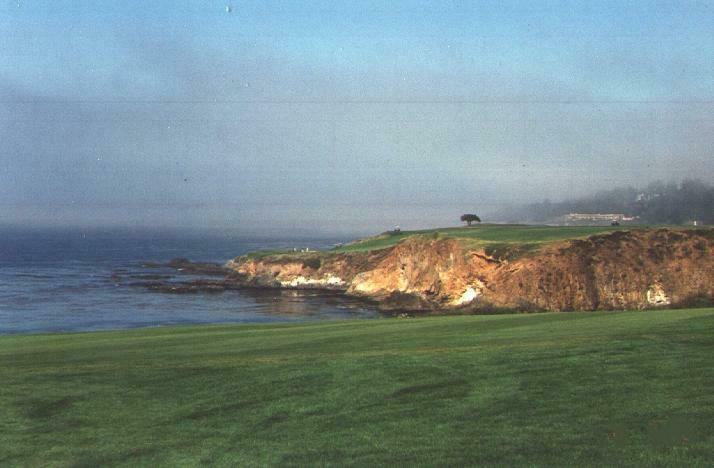 I hit a bad slice into the Pacific Ocean, considered a gigantic lateral hazard. I took a stroke penalty and dropped another ball. 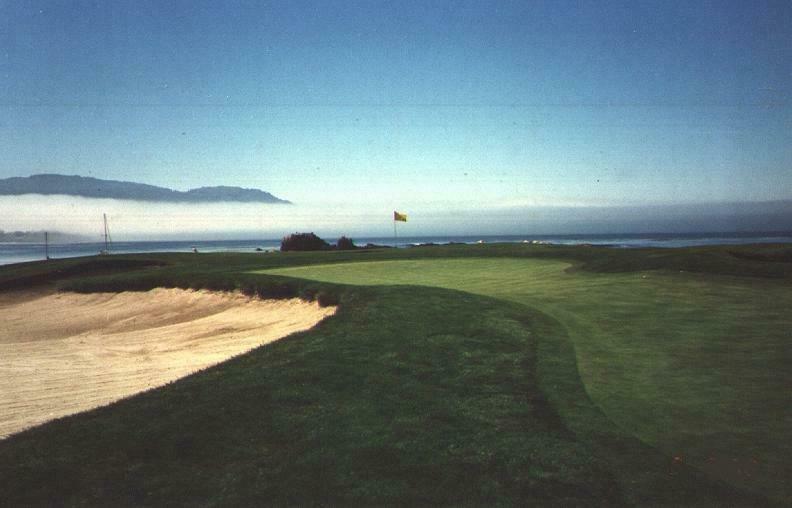 This time I hit it pretty straight into the thick fog. I had no idea where it landed or whether it made it across the cove. To my surprise, my ball sat on the greens about 6 feet from the hole. I drained it for a bogey 5.